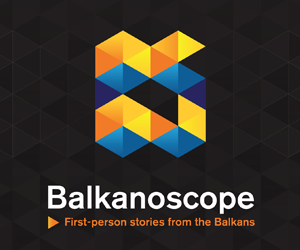 SARAJEVO – Members of the Presidency of Bosnia and Herzegovina Milorad Dodik, Šefik Džaferović and Željko Komšić are paying their first official visit to Brussels since coming to office. They are expected to meet with High Representative of EU for Foreign Affairs and Security Policy Federica Mogherini today in the afternoon, and with European Commissioner Johannes Hahn and President of the European Council Donald Tusk tomorrow morning. 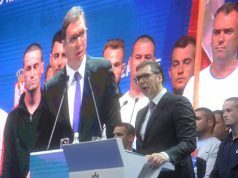 Both Džaferović and Komšić expressed hope that BiH will be granted a candidate status as soon as possible. “The answers to the additional questions [to a Questionnaire sent by the European Commission] have practically been finalised here in BiH. 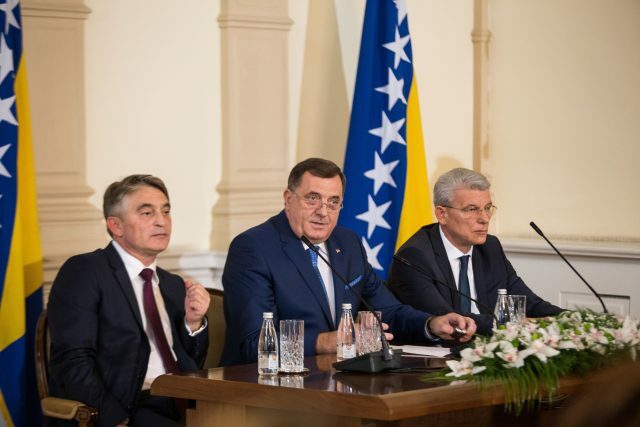 The only thing left is for them to be translated to English…We expect that Bosnia will get a candidate status as soon as possible”, stated Džaferović, N1 reported. Komšić reminded that 2019 is the year of European parliamentary elections and the formation of the new Commission. Therefore, each new day and month is a missed opportunity. “We are traveling with a message that it would be good, wise and smart not only for BiH, but also EU member states that BiH is granted a candidate status”, he emphasised.